Merry Christmas Eve! Hope you're having a lovely day, whatever you're doing! 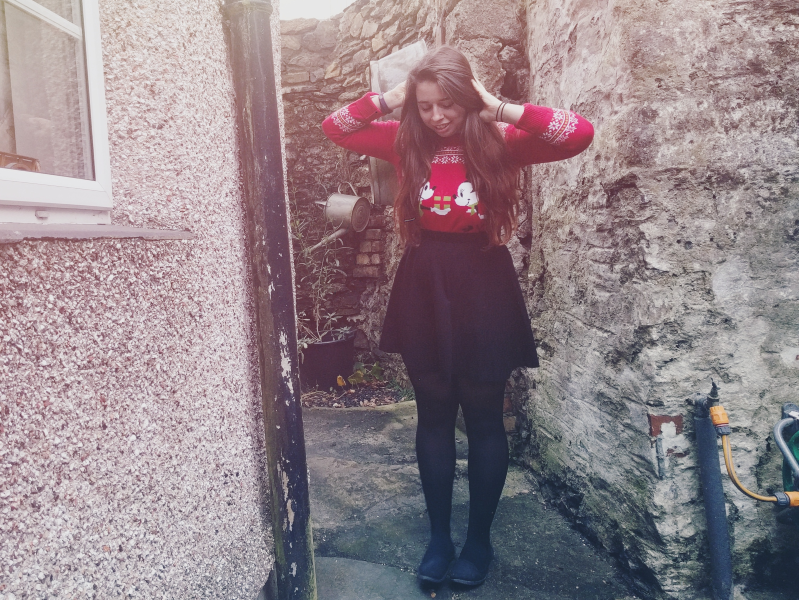 Today I thought I'd share how I'm planning on styling my Christmas Jumper this year. 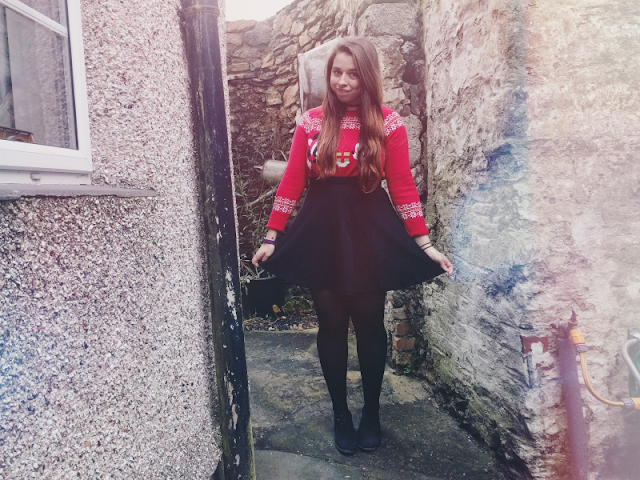 I bought this jumper from the Disney Store last year and I'm still obsessed with it now! 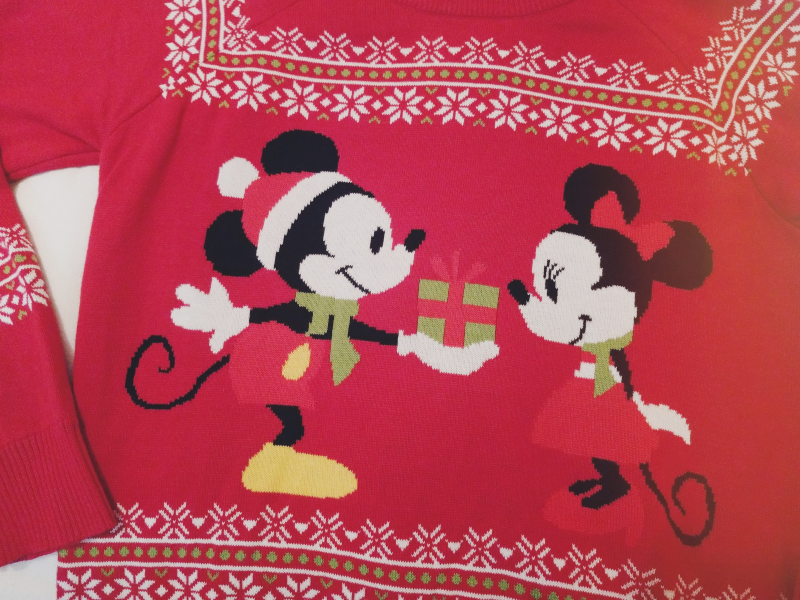 I love the adorable Mickey and Minnie design. I actually even have this on a matching mug too, haha! To complete the outfit, I paired the jumper with my all-time favourite skater skirt from H&M and a red ribbon choker from New Look. 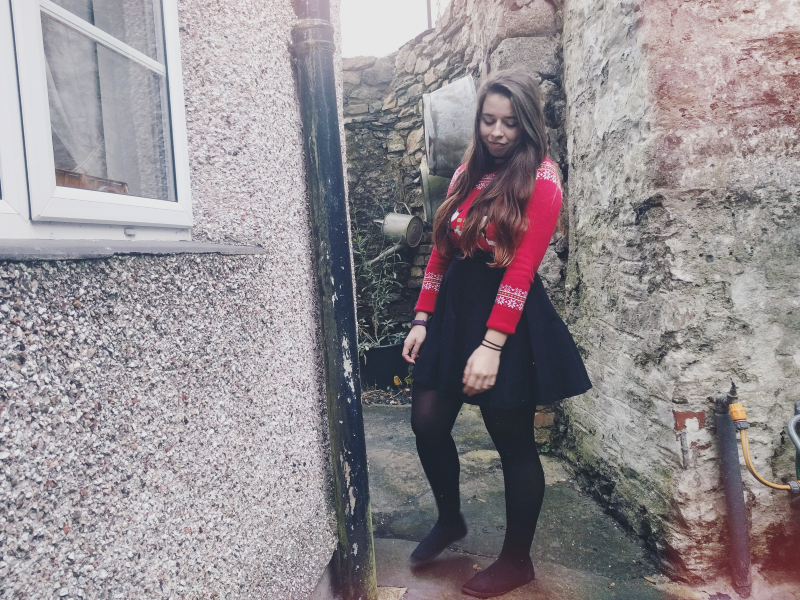 I think the choker was less than £2 and the skirt was under a tenner so both were total bargains! I'd been looking for a skirt just like this for years and then I finally stumbled across this one earlier this year and it was everything I was looking for, and for such a teeny price! This is exactly why the majority of my wardrobe comes from H&M! Will you be trying to squeeze some Disney into your festive-wear too? Let me know how you manage it! Aww this is such an adorable outfit!